Watch full Naruto Shippuden Season 20 Episode 36 English Dubbed full HD online. Naruto Shippuden Episode 449 English Dubbed online for free in HD. Tsunade informs Konoha 11 of Sasuke killing Orochimaru and suspicions of him joining the Akatsuki. They head to search for him while Sasori reveals a mass of puppets to rule the world. Sasuke questions his decision to destroy the village. Itachi appears, alive, to help Sasuke realize the wrong path he is walking. When Konoha 11 fight Sasori and the other Akatsuki members, Sasuke joins with his former comrades. Minato and shinobi from the other hidden villages arrive to help seal away the puppets. Sasori uses puppets of the Raikage, Mizukage, and Tsuchikage to fight Naruto, Sasuke, and Sakura. 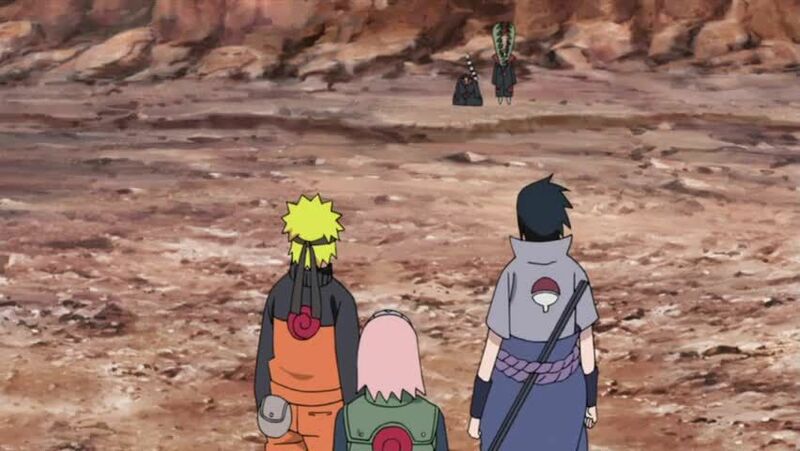 Jiraiya arrives with Nagato and Konan, telling Naruto he will be the new member of Team Jiraiya. Itachi comes to assist Sasuke and defeat the Kage puppets. Naruto and Sasuke combine their powers to destroy Sasori. Afterwards, Naruto asks Sasuke to return home and he agrees but says he will change the world in his own way.